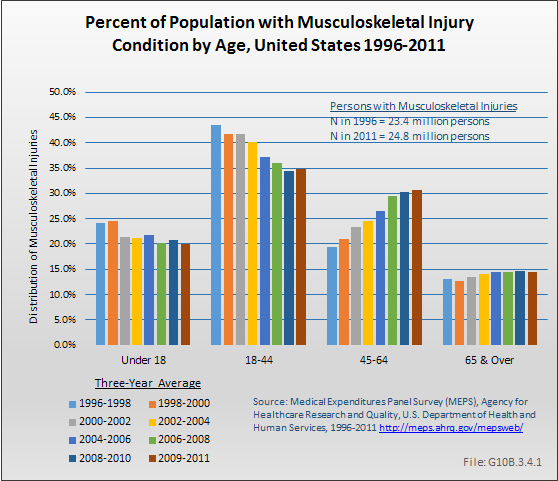 Between 1996 to 1998 and 2009 to 2011, the number of persons reporting a musculoskeletal disease increased by 26.5 million from the 76.0 million reported in 1996 to 1998 to the 102.5 million reported in 2009 to 2011. The 94.2 million persons age 18 years and older reporting a musculoskeletal disease in the MEPS is a substantially lower number than the 126.6 million musculoskeletal diseases self-reported by adults age 19 years and older in the National Health Interview Survey in 2012, and reported in the Big Picture section of this report. 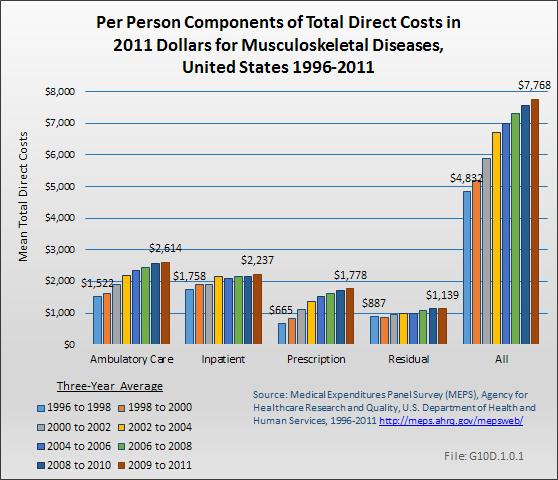 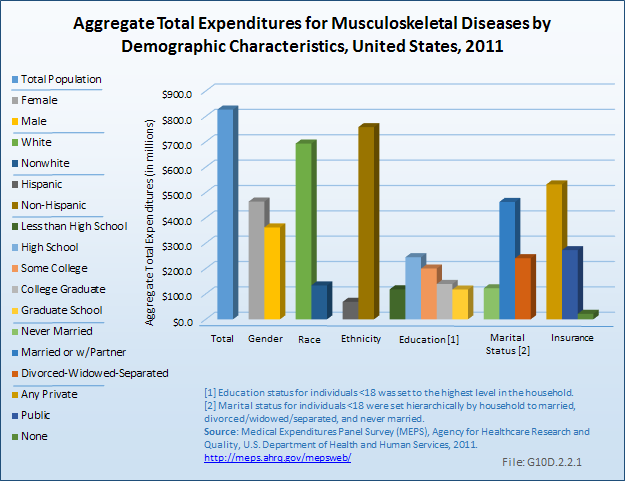 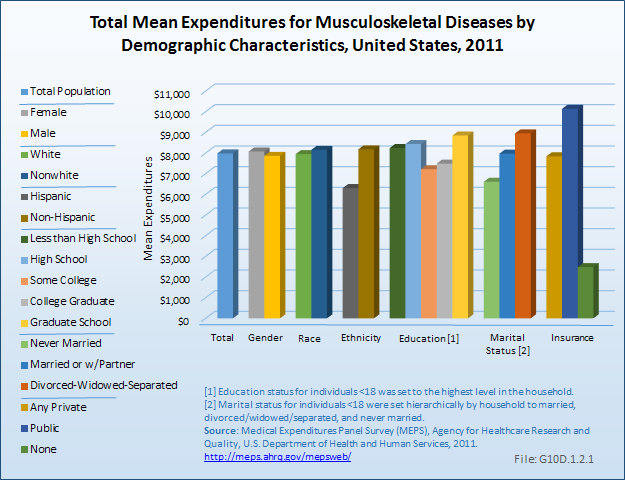 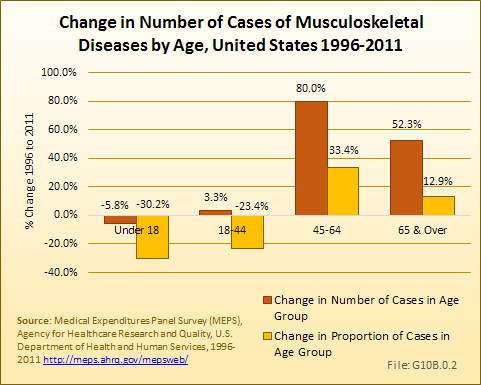 A more expansive definition of musculoskeletal diseases includes persons with musculoskeletal diseases as a primary health concern, as well as persons in whom the musculoskeletal disease is a by-product of another condition (eg, bone metastases from cancer) or is overshadowed by a life-threatening disease, and, therefore, is often not the primary diagnosis (Dx1). 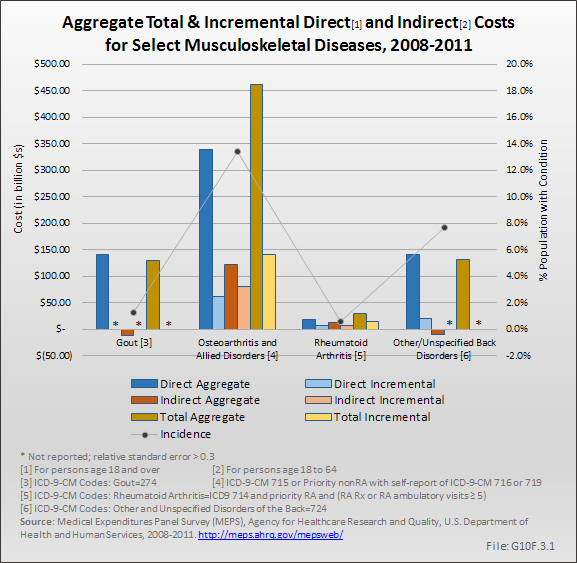 The more expansive definition codes can be found in the ICD-9-CM codes section. 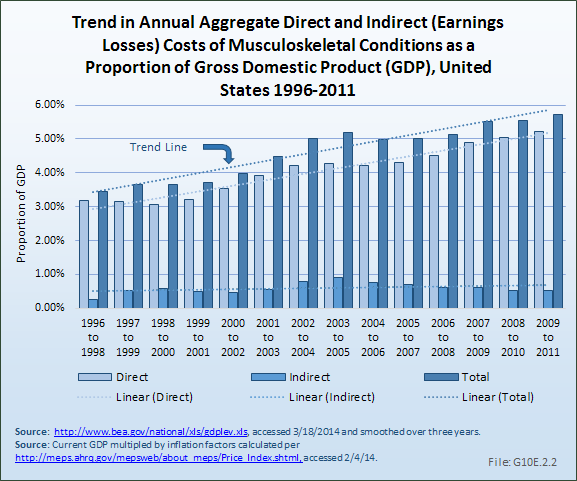 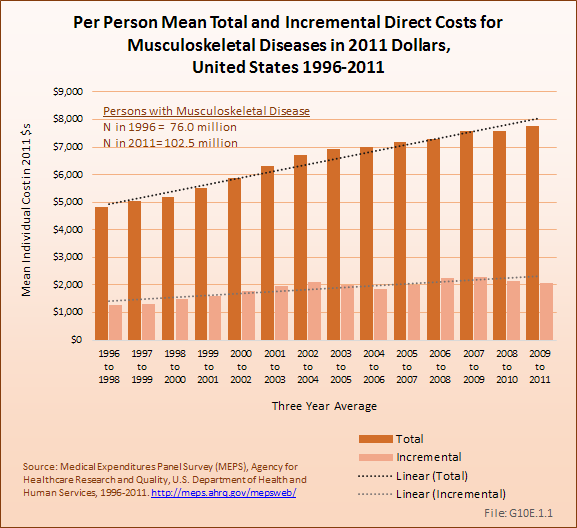 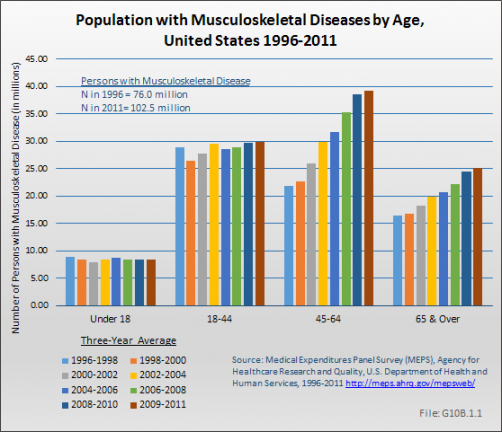 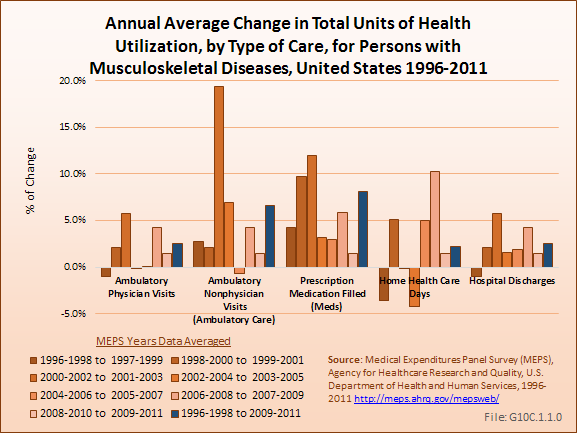 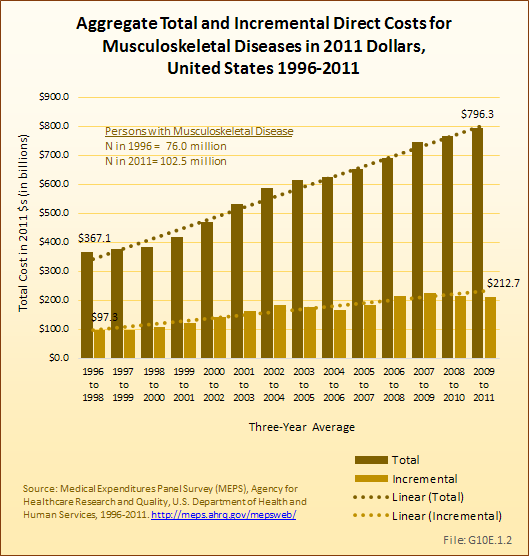 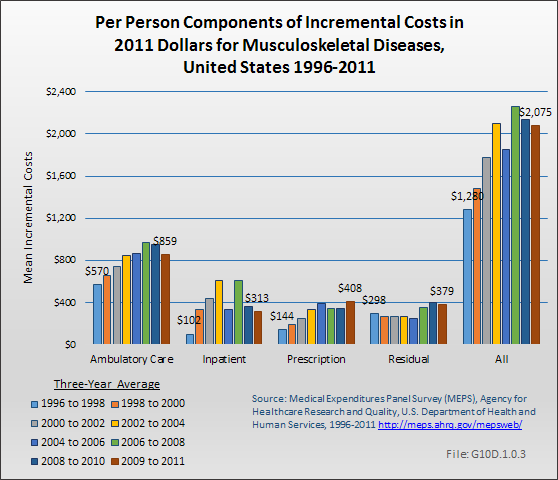 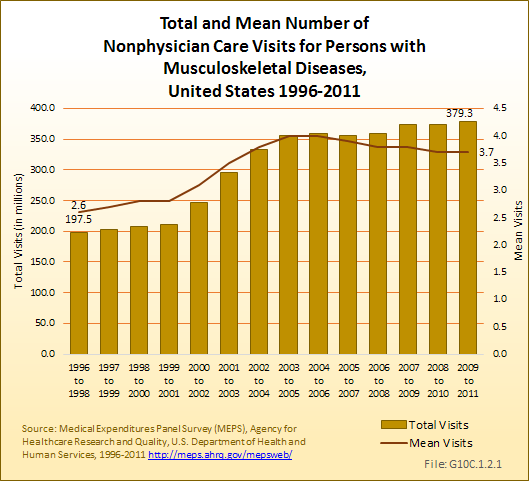 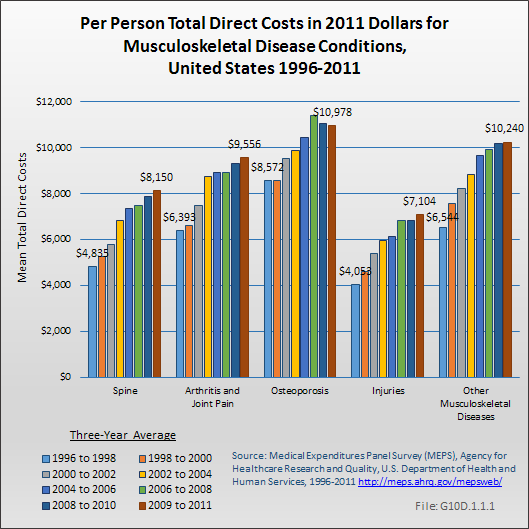 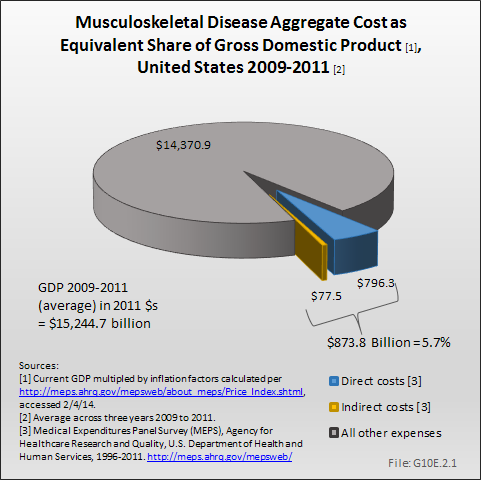 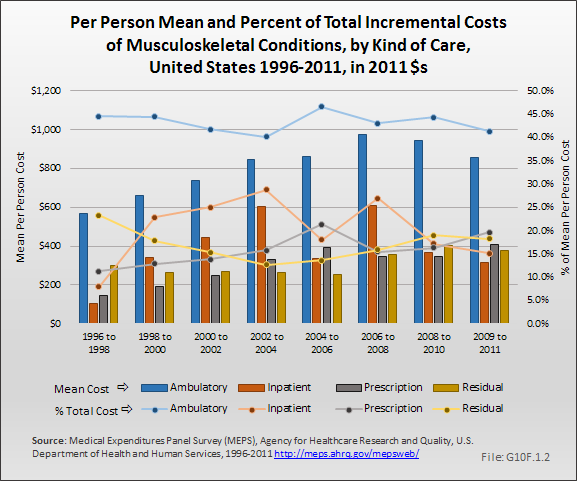 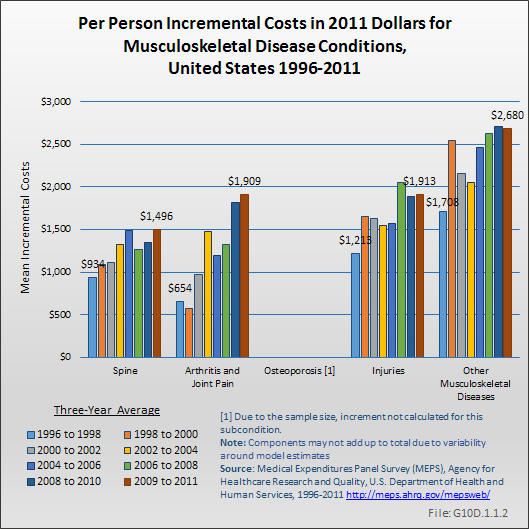 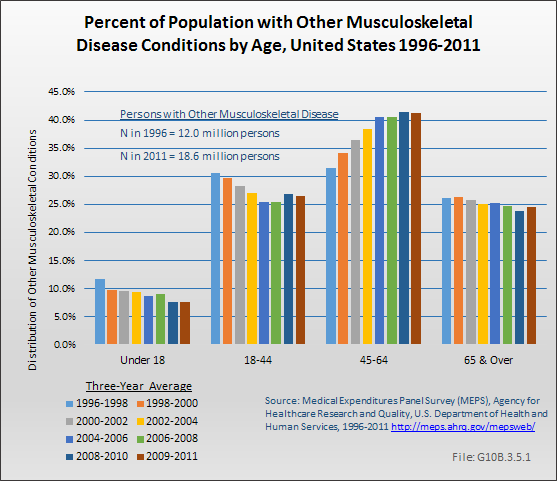 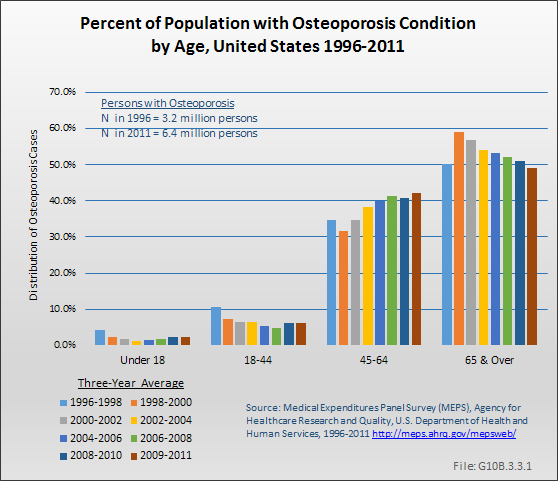 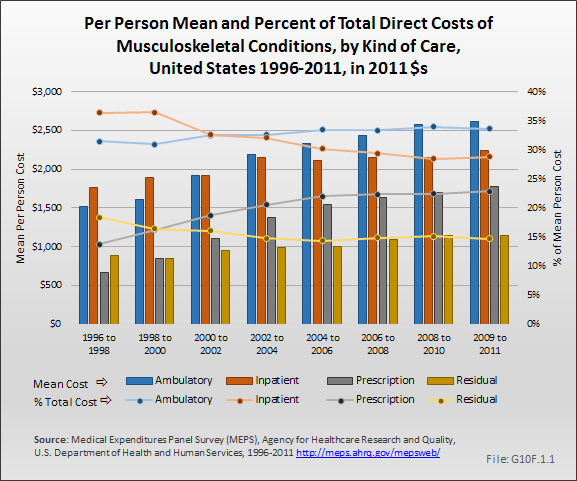 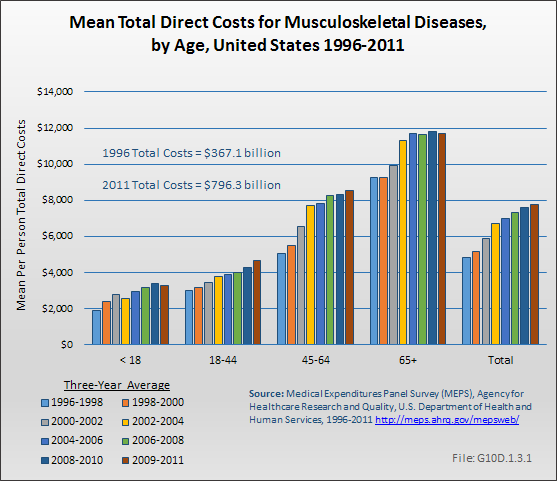 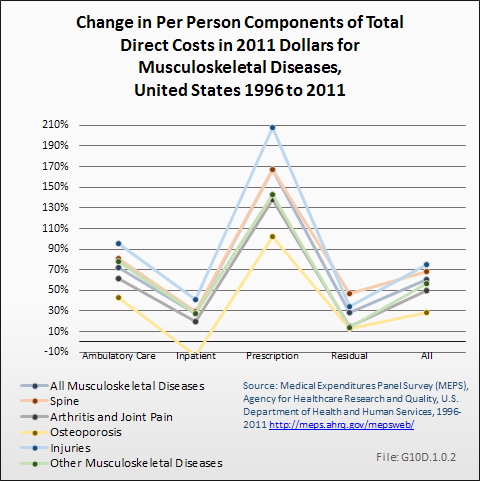 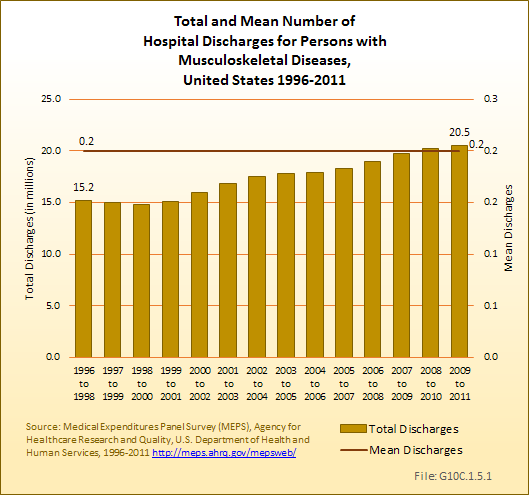 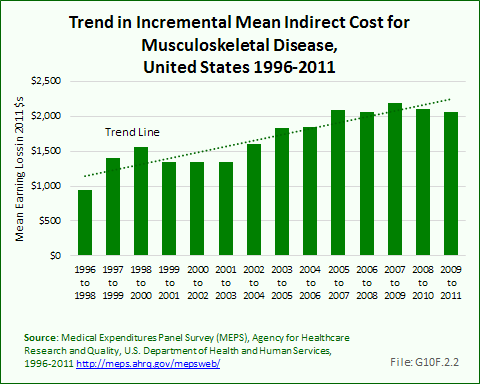 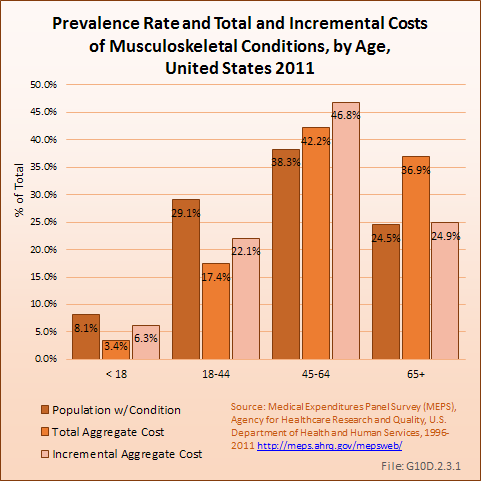 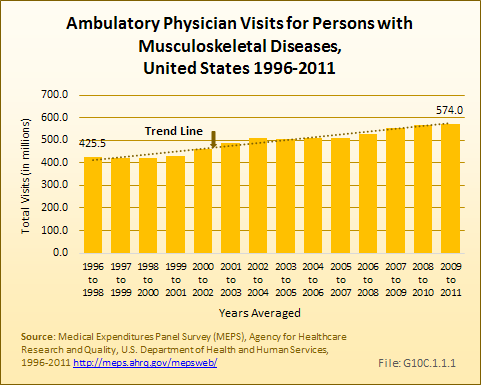 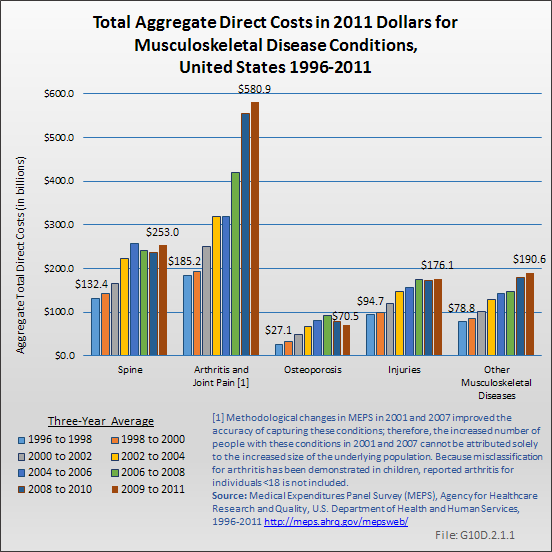 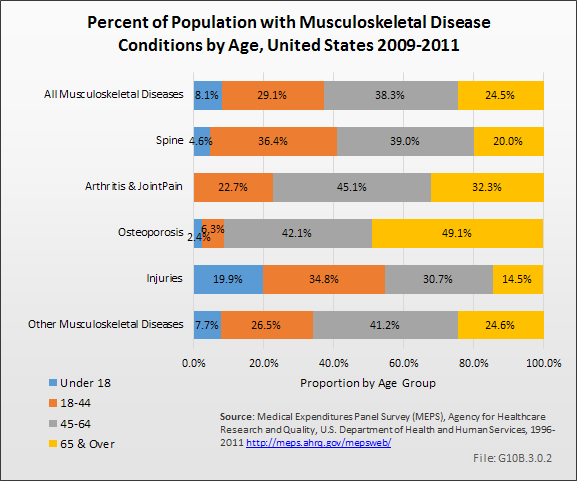 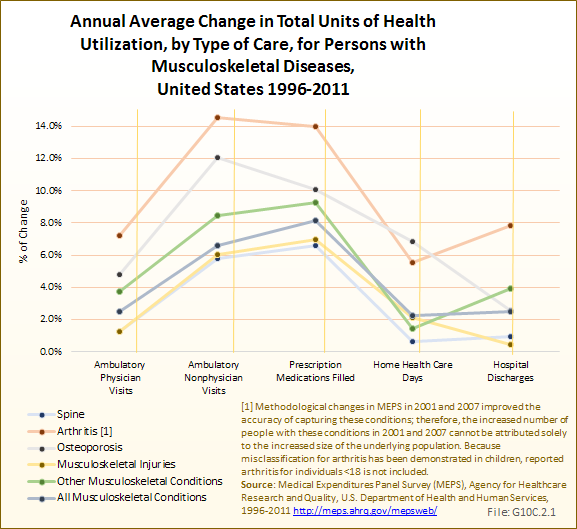 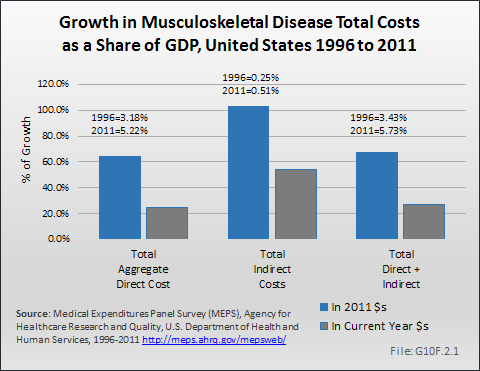 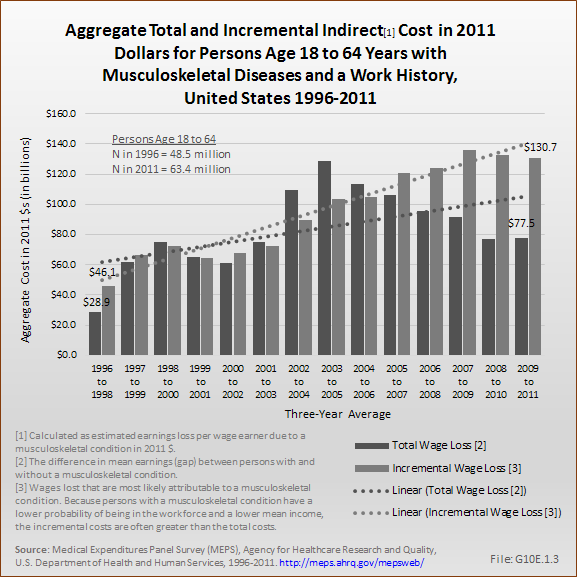 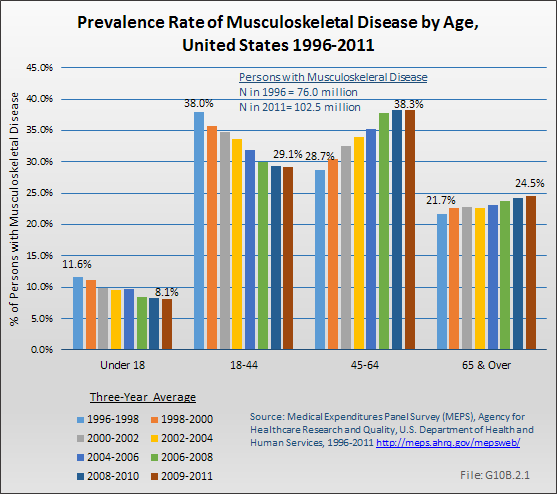 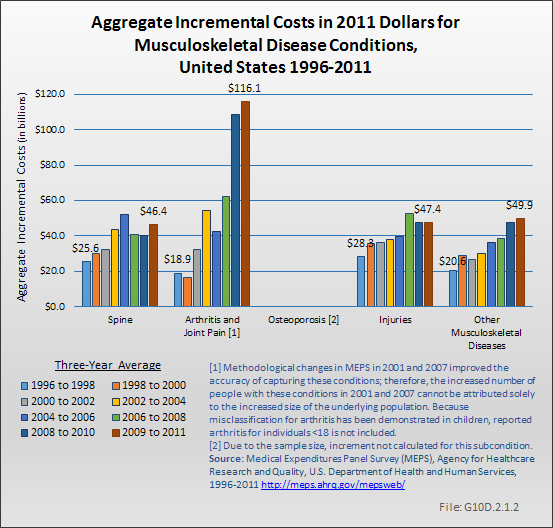 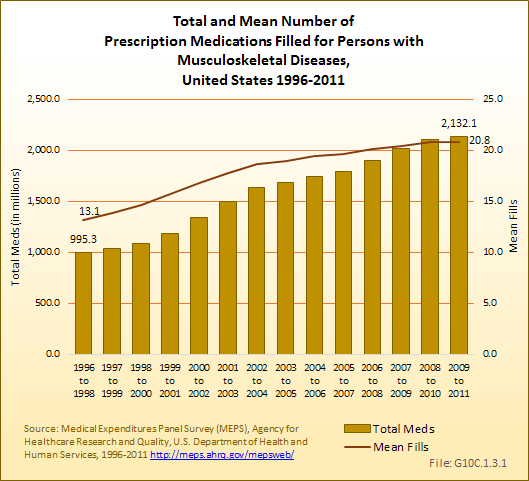 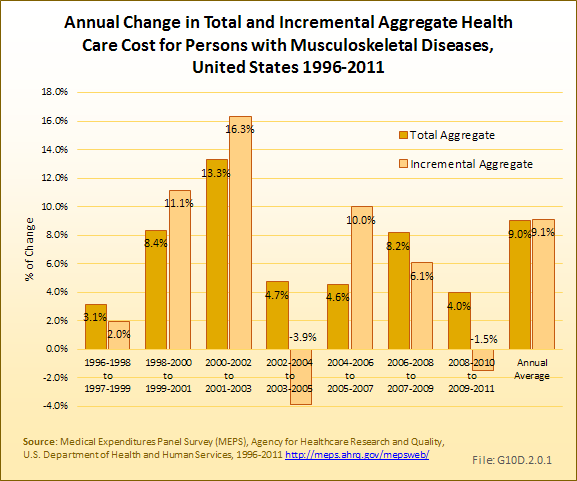 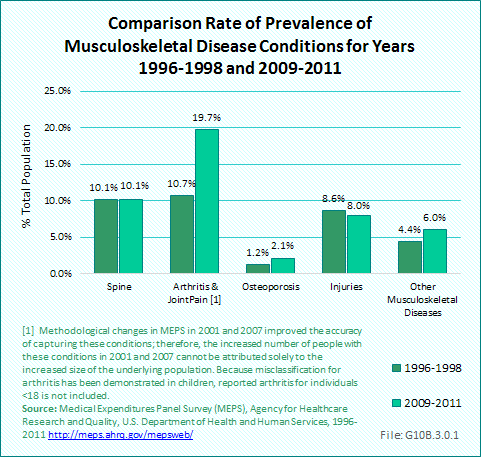 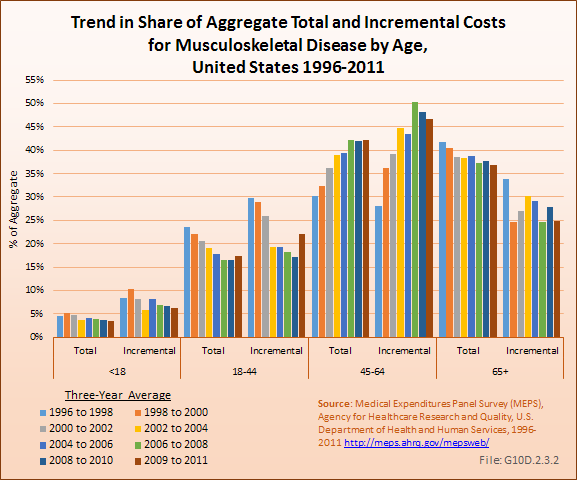 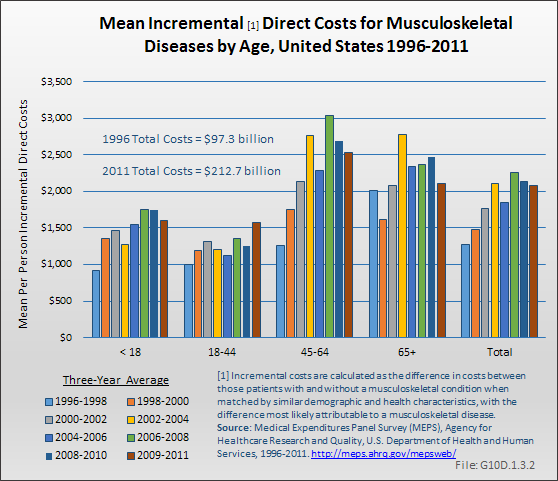 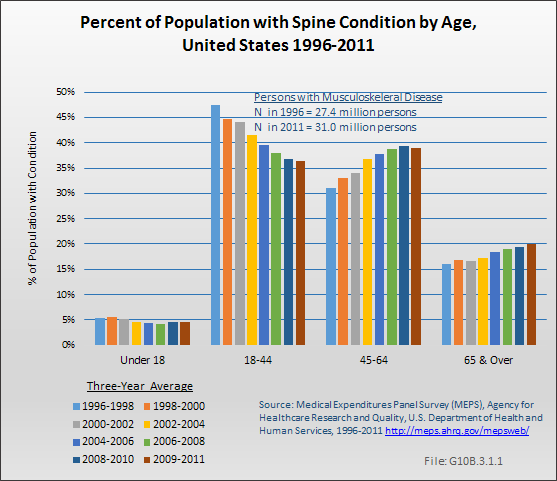 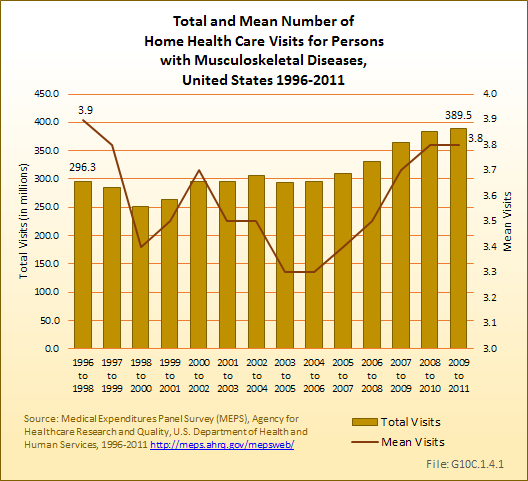 Using this more expansive definition of musculoskeletal diseases, an average of 156.6 million persons of all ages, or 50.7% of the population, reported a musculoskeletal disease annually for the years of 2009 to 2011. 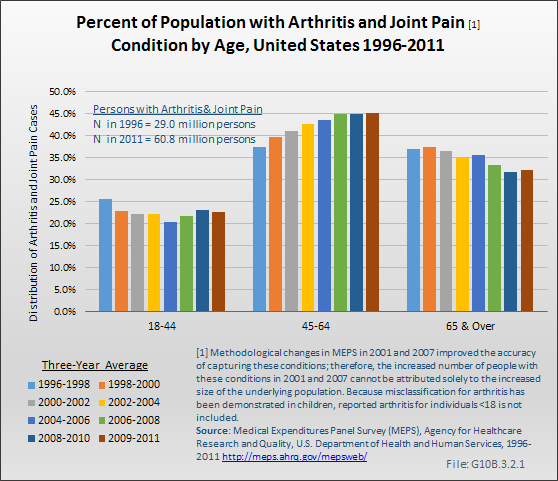 This compares to 52.8% of persons age 18 years and older reported in the Big Picture section.